Ohio Archaeology: An Illustrated Chronicle of Ohio's Ancient American Indian Cultures by Bradley T. Lepper (2005) is the best book yet written on the subject. Most of what has been written on Native Americans in Ohio is either geared toward an elementary audience or is so academic as to be unreadable by those without a background in the field. This book finds a middle ground. Written at about a tenth or eleventh grade level, Ohio Archaeology is written like a textbook, with the exception that it is far more willing to deal with difficult questions than most textbooks. The individual chapters are written by scholars and experts. The work is profusely illustrated with a variety of media. Maps illustrate the geology of Ohio in each time period. Illustrations from 19th century publications show what the various features looked like before they had eroded so much or were destroyed entirely. Aerial photographs with drawings superimposed help to show what remains of these earthworks, and how to see them against the landscape. The artifacts themselves are also well documented, as are the processes through which they were located. Ohio Archaeology addresses the subject matter in chronological order. It incorporates some sites in surrounding states, especially for the earlier history, in order to explain the conclusions reached. It does everything that I might want in such a book. There's one other book that might rival this one for shelf space, if I had to choose: Ancient Monuments of the Mississippi Valley by Ephraim Squier and Edwin Davis. Ancient Monuments, or, more commonly, Squier and Davis, was, in 1848, the first publication of the Smithsonian Institution. It documented many of the earthworks that have since been lost. 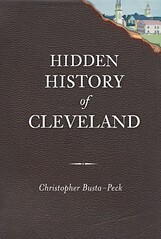 When you see a historic illustration of a mound in Ohio, chances are good that it is from this book. The title is a bit misleading. By "Mississippi Valley", the authors meant, by extension, the Ohio River valley, where many of the Ohio sites are located. This doesn't stop them from also addressing several sites in nothern Ohio, documented by Charles Whittlesey. The Smithsonian Institution published an excellent reprint of Squier and Davis in 1998, on the 150th anniversary of the original. It is better than most reprints, and a title that I highly recommend. If not for Squier and Davis, we would not have documentation of many of the major earthworks in the Ohio valley. Few met the same level of quality and accuracy. If not for this title, we wouldn't even have the record of what we have lost. If I had to choose between Ohio Archaeology and Ancient Monuments, it'd be difficult. As a lover of history, I'd choose Ancient Monuments, with its lovely plates illustrating dozens of sites. As a librarian, I'm inclined toward Ohio Archaeology, so that I might actually understand what I am seeing.